7:30 p.m. at the Clements Center,1580 Yarrow St., ​Lakewood, Colo.
th e calendar says it's spring! we say It's time to drive the model a! to the Loveland​ post office to stamp and mail our own Valentines. 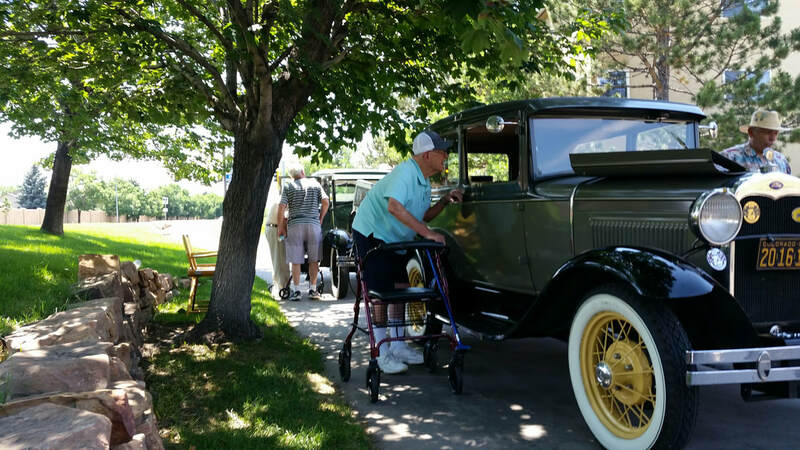 The Model A Ford Club of Colorado ushered in a brand new year of touring, feasting, parading, fun and games at the historic Wellshire Event Center. The elegant old Wellshire Country Club, with its early 1900's charm, was a perfect venue. Our hosts, the Sandovals, and the outgoing 2019 Board gave us yet another special day to remember. Thank you! Photos by Mike Smith, Chuck Thomason and Lola Happel. These lovelies, some handsome guys and a few striking couples, set the tone for 2019. Get ready...It's going to be all about fashion this year! Fred Binkley's Milestone program continues to rack up miles driven by our wonderful autos. 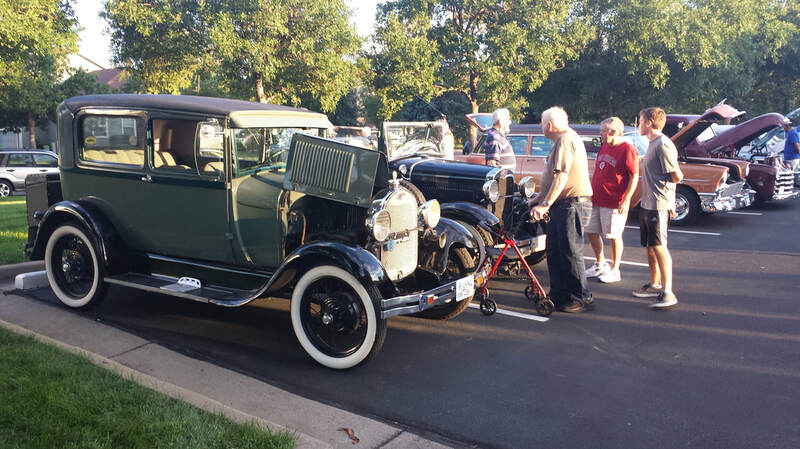 Fred's '31 Cabriolet alone accounts for 71,000 miles. Since the beginning of the program, the club has logged over three million miles. Pictured here are plaques earned by Erin Murphy's Model A, originally owned by his dad, Mike. Kay and George Wieder won the coveted First Place Lillie Fahey Participation Award, presented by VP Ben Lombard. Ben tracked participation in 98 club events in 2018. When we share our time, memories and old cars with others, everyone wins. ​Visits to senior residences are a favorite club activity. Model A Ford Club of Colorado, Inc.